Certain products or services offered by this Website may be governed by additional terms (“Additional Terms”) presented in conjunction with those products or services. You must agree to these Additional Terms before using those areas or Beach Services. The Additional Terms and this Agreement shall apply equally. In the event of an irreconcilable inconsistency between the Additional Terms and this Agreement, the Additional Terms shall control. YOU MAY NOT USE THIS WEBSITE FOR ANY PURPOSE THAT IS UNLAWFUL OR PROHIBITED BY THIS AGREEMENT AND/OR ANY APPLICABLE ADDITIONAL TERMS. YOUR ACCESS TO THIS WEBSITE MAY BE TERMINATED IMMEDIATELY IN Beach’S SOLE DISCRETION, WITH OR WITHOUT NOTICE, IF YOU FAIL TO COMPLY WITH ANY PROVISIONS OF THIS AGREEMENT AND/OR ADDITIONAL TERMS, OR FOR ANY OTHER REASON, OR NO REASON. This Agreement informs you of Beach’s practices with respect to the online collection, use, and disclosure of personal information from the Website. Personal information is information that allows us to contact you (such as email address, home address, or telephone number) or other information that, when linked to your name or contact information, allows us to personalize your visit to our Website by providing you with information that suits your interests. Beach is the owner of this Website and retains all ownership rights to the information collected at this Website. Beach reserves the right to change, modify, add, or remove provisions of this Privacy Statement. Any changes to this Privacy Statement will be posted here, and we encourage you to check back from time to time. 1.1 We may use the contact information you give us to better tailor your Website experience to your interests, and to send you information about Beach and its services as well as promotional material on behalf of some of our partners. We may use other information that you provide to us to show you content in which you may be interested and to display the content according to your preferences. We will also share this information within the Beach family in order to enhance your experience on this and other Beach Websites. 1.2 In addition, we may share this information with advertisers or other third parties that are not part of the Beach family on an aggregate or other basis that does not disclose your identity or contact information. 5.1 From time to time we may enter into a special relationship with another company that is not owned by Beach to provide additional features at this Website. These special relationships may include “powered by” partners, business partners, sponsors, and co-branded sites (referred to here as “co-branded pages”). These might include, for example, pages that share our name and that of another entity. You should look for a specific privacy statement on any such co-branded page. Any personal information that you provide when signing up at one of those co-branded pages may be shared with our third party partner. You should also check our partner’s website for information regarding its privacy policies. 5.2 Also, the nature of some features of our Website may require that we share personal information about you with persons or companies outside of the Beach family. For example, this may occur at a feature that enables you, via our Website, to ask questions of persons or entities that are not part of the Beach family. By responding to those features of the site, whether by email or direct entry of information on our Website, you are consenting to our transferring that information to such persons or entities. 5.4 Finally, we may share any of the information collected from you with these other non-Beach companies in an aggregate basis. The aggregated information is not linked to any information that can identify you. 10.1 Beach employs reasonable security measures consistent with standard industry practice, for information collected through this Website. We believe that we have adequate security measures in place in our physical facilities to protect against the loss, misuse, or alteration of the information we collect on our Website. We also use internal protections to limit access to users’ personal information to only those employees who need the information to perform a specific job. 11.1 If this Website is sold to, or merges with, another company not owned by Beach, you should expect that some or all of the information collected from this Website may be transferred to the buyer/surviving company. If so, Beach will seek to obligate the acquiring company to use any personal information transferred by this Website in a manner consistent with this statement, but cannot guarantee that it will be able to impose that requirement or that the acquiring company will comply. 12.1 You should be aware that Beach may be required to disclose your personal information to the government or third parties under certain circumstances, such as in court or regulatory proceedings. 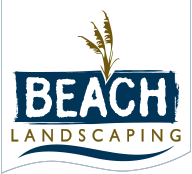 13.1 If you have any questions about this Privacy Statement, the practices of this Website, or your dealings with this Website, please contact us at matt@beach-landscaping.com. 14.2 You agree that any cause of action you or Beach brings to enforce this Agreement and/or the Additional Terms, or in connection with any matters related to this Website and/or the Privacy Statement, shall be brought only in either the state or Federal courts located in South Carolina. 14.4 If any provision of this Agreement, or the application thereof to any person or circumstances, is held invalid or for any reason, unenforceable including, but not limited to, the warranty disclaimers and liability limitations, then such provision shall be deemed superseded by a valid, enforceable provision that matches, as closely as possible, the original provision, and the other provisions of this Agreement shall remain in full force and effect. The failure of either party to insist upon strict performance of any provision of this Agreement shall not be construed as a waiver of any provision or right. Unless expressly provided otherwise, this Agreement is the entire agreement between you and Beach with respect to the use of this Beach Website and shall not be modified except in writing, signed by an authorized representative of Beach. 15.1 This Website is governed by and operated in accordance with the laws of United States of America and is intended for enjoyment of residents of the United States. Beach makes no representation that this Website is governed by or operated in accordance with the laws of other nations. By using this Website and submitting any personal information, visitors from outside of the United States acknowledge the this Website is subject to U.S. law, consent to the transfer of personal data to the U.S., and waive any claims that may arise under their own national laws.